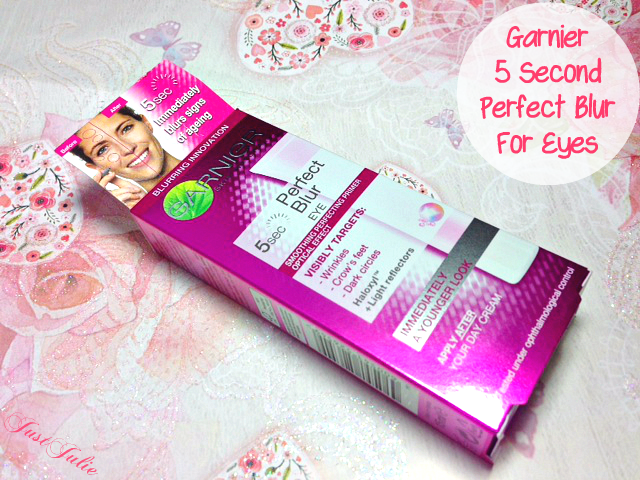 Garnier 5 Second Perfect Blur For Eyes Review! 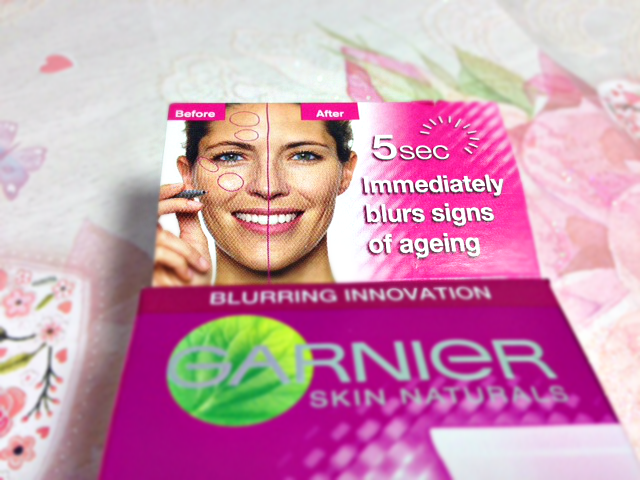 Like most women in their early thirties, I'm very conscious of the fine lines around my eyes, so after a visit to Boots I decided to pick up the Garnier 5 Second Perfect Blur For Eyes and see what it was like. 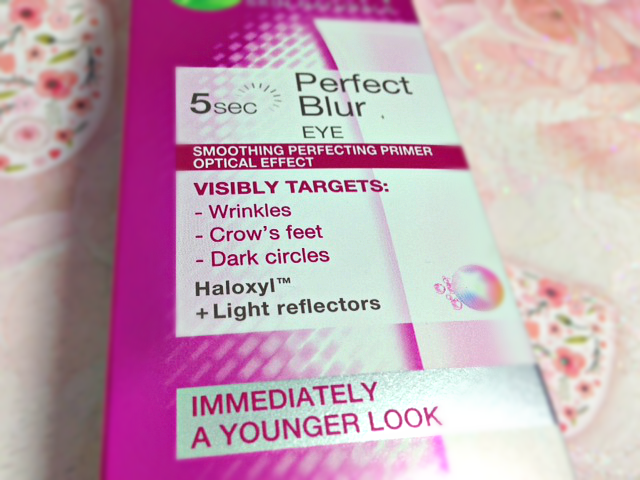 The Garnier 5 Second Blur For Eyes is basically a primer for your eyes (they also sell a face version which I'm yet to try) What apparently makes this different from other primers is that the blurring formula has a high concentrate of light reflectors that defuse the light in every direction and it also has an ingredient called haloxyl (which I've never heard of) that helps to reduce the appearance of tired eyes over time. 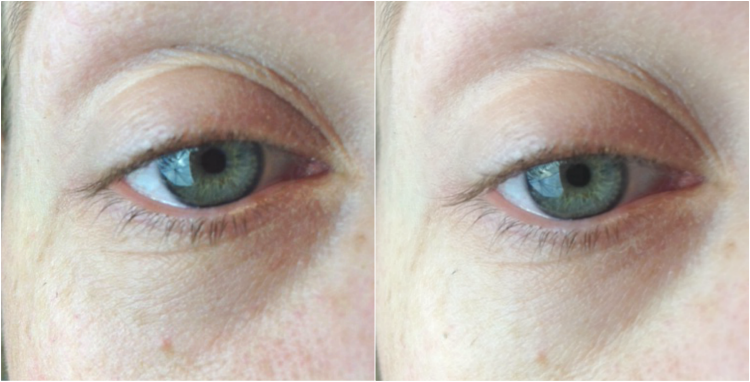 So it seems like this is 1. an instant fix for the eye area and 2. a treatment for your eyes too. The reason it's got the name 5 second in it is because apparently that's how long it takes to apply and see results... I just say the 5 second name is just a gimic, mind you it does take next to no time to apply, but don't all primers? 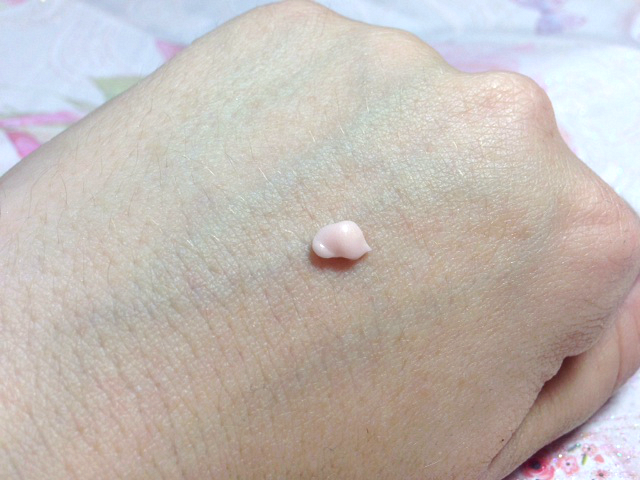 The texture is pretty much the same as most other primers out there with it's silicon and velvety feel. It literally dries instantly, which I like. I have found other primers have taken a while to dry, but not this. You can go straight over the top of this with your makeup without there being any waiting time. This also acts a base for your concealer, a good thing for anyone who's concealer creases during the day, it seriously will not budge with this. My makeup applied beautifully over the top of this, so even if it didn't blur things, this would still be a great base for your concealer. To say I'm thrilled with this would be an understatement, it does everything it says it would and then some. This will definitely be joining my makeup routine. 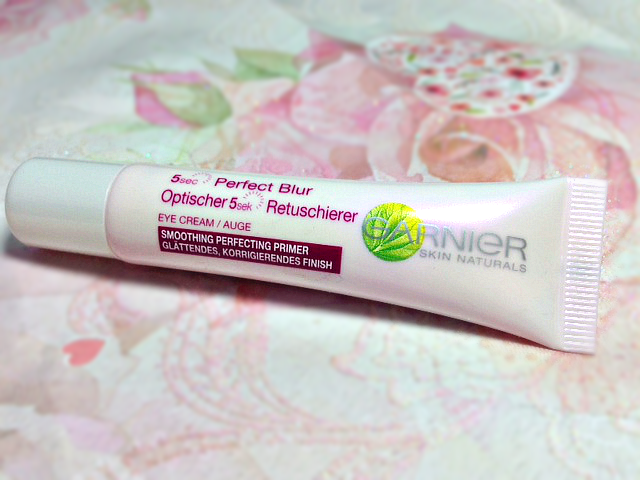 The one thing that is left to be seen is if this actually works and treats my eyes long term, but I was looking for a quick fix and got one and now want to try the face version!